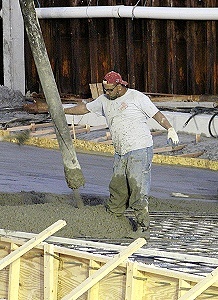 No other phase of construction requires as much coordination and perfect timing as pouring concrete. 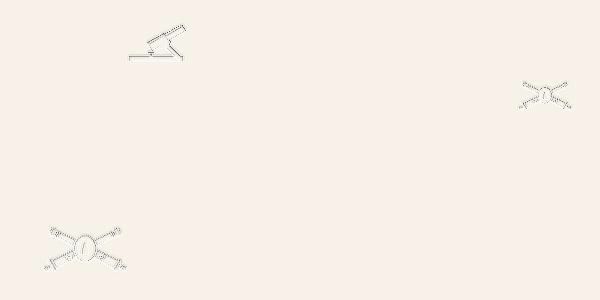 Here, in the area where the concrete is being placed, the trick is pump in the concrete at just the right pace for the crew that spreads and floats it. On left, the boom pump holds back for a few minutes while the crew catches up. 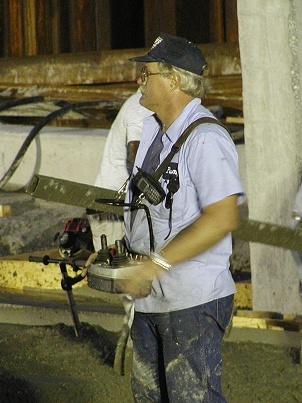 The flow rate and the position of the giant arm of the boom pump are radio controlled by this man, standing right in the work area. 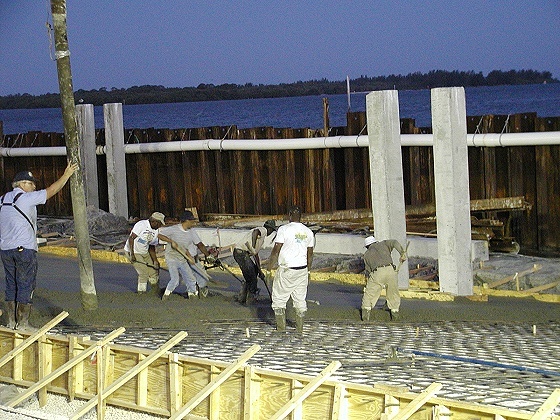 The more accurately that concrete can be placed from the boom pump, the less work that the finishing crew has to do. 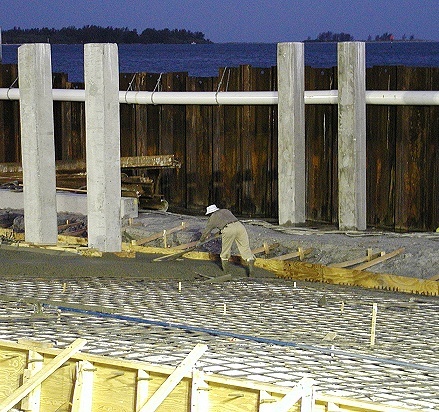 This man, using a float to finish an area of concrete, would be several feet under the ocean if the cofferdam were not holding back the tides.